Provide comfort for the family of Charles Kingson with a meaningful gesture of sympathy. KINGSON--Charles I., 1938-2019. Charles Isaac Kingson (Charley) of New York City died peacefully on February 26, 2019 in the company of his wife and daughter. He was 80 years old and had spent his career as a tax lawyer. Born in New York City, he attended the Horace Mann School and graduated from Phillips Exeter Academy, Harvard College and Harvard Law School. 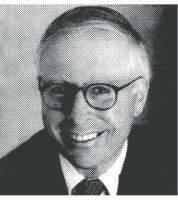 A longtime partner at Willkie, Farr and Gallagher, he served as the Treasury Department's deputy international tax counsel under the Carter Administration, where he wrote the initial regulations under section 367 of the tax code, establishing rules for reorganizations and liquidations involving foreign corporations. A gifted pianist, conversationalist and thinker, he spent his later years teaching his craft at New York University Law School, Yale Law School, Penn Law School and Columbia Law School. He leaves his beloved wife, Nancy Sharf Kingson, and daughter, Jennifer A. Kingson, and two grandchildren, Valerie Kingson Bloom and Jeffrey Kingson Bloom. To send flowers in memory of Charles Isaac Kingson, please visit our Heartfelt Sympathies Store.